The CS-2000 spectroradiometer has the ability to measure contrast of 100,000:1, making it an ideal instrument for extremely low luminances. This polychromatortype spectroradiometer has the ability to measure 100,000:1 contrasts. 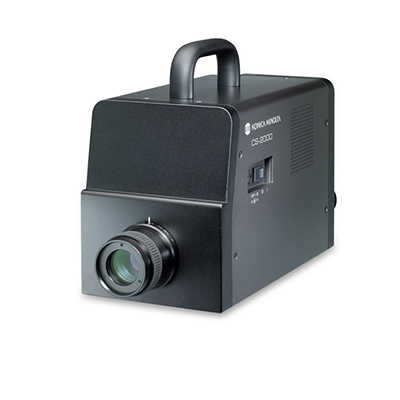 Featuring premiere top level capacity, the CS-2000 spectroradiometer is designed to pick-up incredibly low luminance ranges that reach 0.003 cd/m2. The CS-2000 records highly accurate measurements. 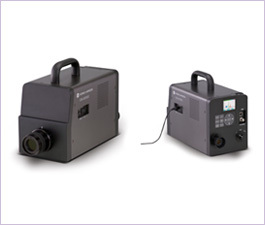 This spectroradiometer’s signal processing technologies and optical design give you accurate measurements of luminance and chromaticity levels, including extremely low levels. The instrument calculates measurements in only 5 seconds. The spectroradiometer measurement calculation abilities free you of the need to work with electrical and mechanical noise elements. Enjoy stable measurements displayed across the CS-2000 screen. There’s a capability to use LCDs to display readings on this spectroradiometer with a low 2% polarization error. Choose between 1°, .2°, or .1° optimum angle that are compatible with used application. It’s possible to work with the instrument in a variety of work environments as the instrument has a temperature range that extends from 5° to 35°C. In just 30 seconds, the CS-2000 spectroradiometer warms up, making it quickly ready for use. Designed with three measurement modes, the instrument provides diverse and accurate reading capabilities. Added to the three measurement modes of multi-integration, external synchronization and internal synchronization, is the ability to synchronize the instrument with external line or internal user inputs. Variations in readings are diminished with multi-integration mode. You can get synchronized or unsynchronized readings on sources that produce irregular and variable light emission cycles. The CS-2000 spectroradiometer is easy for first time as well as seasoned users. This instrument is equipped with a LCD color screen. It also comes with a simple operation panel. Integration time Fast: 0.005 to 16 sec. ; Normal: 0.005 to 120 sec. ∗ 1 Average of 10 measurements in Normal mode at a temperature of 23±2C and a relative humidity of 65% or less. ∗ 2 10 measurements in Normal mode at a temperature of 23±2C and a relative humidity of 65% or less.